Check a local dismantler. They should have them by the dozens. Focus, Escape and other cars should have similar jacks. Take some measurements for the storage location and/or check Ford part numbers on line to see if they are the same. Just about any 1.5 ton scissor jack should fit where the factory jack was. You can check with a dealership for the factory original. 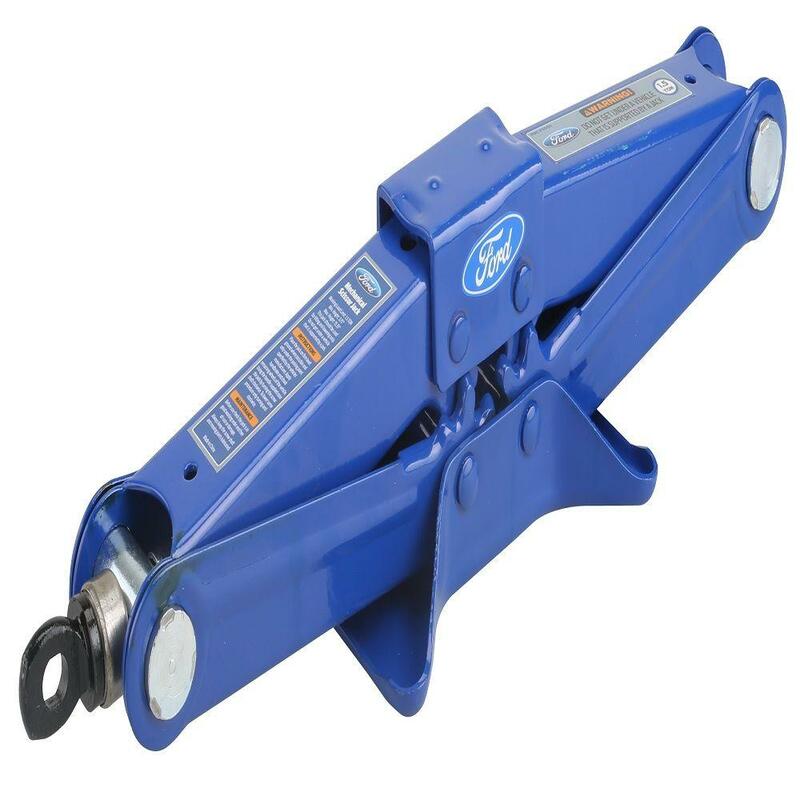 Or buy a blue color Ford branded scissor jack for a lot less. This 1.5 ton mechanical scissor jack has a 3,000 lb. weight rated capacity. It also has a wide base for additional stability. It has a lifting range of 3.75 in. to 15.35 in. Want it delivered Tuesday, April 16? Choose Expedited Shipping at checkout. Want it delivered Tuesday, April 23? Choose Economy Shipping at checkout. Want it delivered Thursday, April 18? Choose Economy Shipping at checkout. Want it delivered Wednesday, April 17?Choose Standard Shipping at checkout. Forget about replacing it. Be glad that you don't have it. Scissor jacks, even the factory supplied unit, just are not very safe. Now is the time to consider buying a better jack. Floor jack. Unijack. Bottle jack. Jack stands. 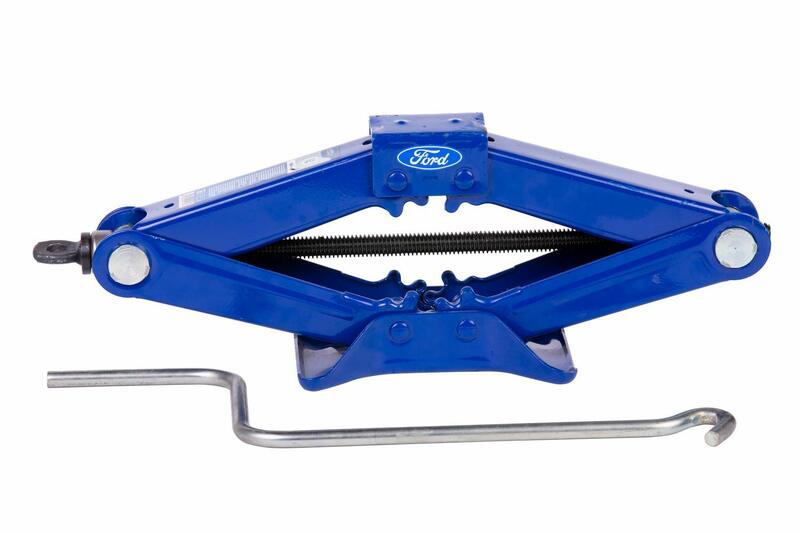 A really good floor jack will still cost less than trying to replace an OEM scissor jack at dealership pricing. Look around and find something in your budget. Bottle jacks can sell for as low as $10. Wally World had a floor jack for $18. Or look for something a little more expensive, and consider it an investment. Everyone has their own opinion what the jack they like, and where to buy it from. Plenty of people have Harbor Freight jacks. I still like to buy things from Sears. In my Transit Connect, I have 2 UniJacks & a floor jack. My strategy is to be able to lift and support the vehicle safely. This is also the same combination of tools I use for an oil change, so I just leave it in the van. Just for good measure, since it does not weigh much or take up much space, I also threw a bottle jack in next to the OEM floor jack. There's already a thread on this forum about jacks, and you should find a lot of information. Instead of telling you to search for it yourself, I will provide the link. Should be cheap enough since it’s not a high demand item. Shop around. I'd give you the scissor jack out of my 2015 since I have two bottle jacks & a floor jack, so I'll never use the scissor jack. But, I'm down in Texas, so you'd have to pay shipping. Otherwise, I'll be up in Chicagoland area for Memorial Day week.